When would a Policy Document be required (as listed in verification matrix) for Feature 53? A Policy Document is only required for projects where Part 1c applies. If average ambient light is below 300 lux [28 fc], the provided policy document should confirm that task lights are available upon request. How would a Core and Shell project meet this feature? The owner must provide a compliant lighting system throughout the entire building, including all tenant spaces. Access to tenant spaces is required to conduct testing during Performance Verification, however, lighting provided by the tenant is excluded. Do standing desks need to comply with Feature 53? Where Feature 53 specifies "the horizontal work plane," this applies to both seated and standing desks. For instance, this horizontal work plane could be located 0.76 m [30 inches] above finished floor for a seated desk or 1.12 m [44 inches] for a standing desk as an estimate. What is considered part of an 'ambient lighting system'? Is task lighting considered part of ambient lighting that can help achieve the minimum required 215 lux on the horizontal work surface? Ambient lighting system is all the light fixtures installed within the space. This does not include task lighting. Our lights are only on/off; does achieving this feature require light dimming capability? No. While the lights in the space must meet the lux levels referenced in this feature, dimming capability is not required. In order to achieve the required lux levels, my project is using multiple fixtures. Can the required lux level be met using more than one light fixture? Yes, multiple fixtures may be used to achieve the required lux levels. What are the specific guidelines that should be reviewed when evaluating if brightness contrast is appropriate or if the luminous balance is maintained? 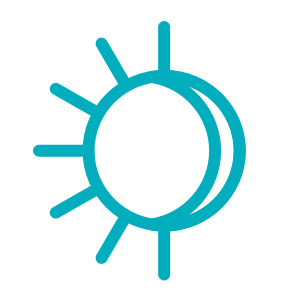 Brightness management contrast is evaluated by the WELL Performance Testing Agent by reviewing the professional narrative submitted as part of documentation. There are no specific parameters the project must meet, but the professional narrative must demonstrate that brightness contrast conditions are factored in. For general guidance on typical contrast ratios, projects may refer to ANSI/IES American National Standard Practice for Office Lighting (RP-1-12). My project uses task lights to achieve the necessary light levels. How will task light levels be evaluated? Only the ambient light levels in Part 1a are measured during Performance Verification. The project team should perform calculations to verify that task lights (if required) produce the necessary levels of illumination, but these details do not need to be submitted for review. Does this feature require that lighting be dimmed in the presence of daylight? No, this feature does not require lighting to be dimmable, but does allow the project to dim lights in the presence of daylight. In order to confirm compliance during Performance Verification, the interior lighting would need to meet the lux/foot-candle requirement without the help of daylighting. If you have any additional questions about this feature, please email our technical team at technical@wellcertified.com.